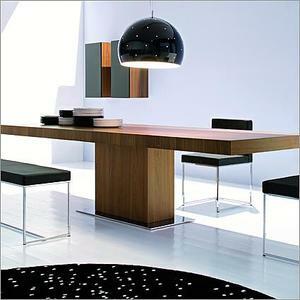 Elegant and sleek, Calligaris Park Extendable Dining Table is a perfect addition to any dining space. 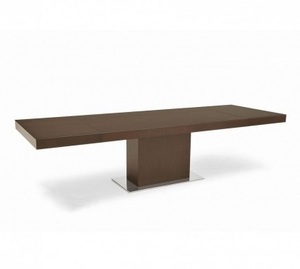 Park is a wooden table particularly suitable for large living areas or basement dens. It can be extended to 3 different lengths thanks to the two side extension leaves stored below the top. The wooden pedestal base, which rests on a steel base plate, guarantees optimum comfort for all guests. The modern Park Glass Extendable Dining Table by Calligaris offers stylish touch to any space.